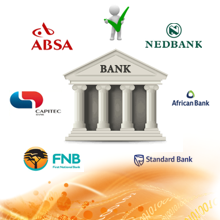 This is of great value to credit providers and other businesses that require a means of verifying the validity of a consumer or business’ bank account before making a pay-out, granting credit or activating debit orders. For more info visit pbVerify website on Bank Verification Services. This entry was posted in Blogs, pbDigital, PBSA, pbVerify and tagged Account verification, Bank Account Verification, Bank verification by Bonnie van der Merwe. Bookmark the permalink.